Do you have an online account that you’ve forgotten the password to but the password is stored in the web browser? If you can still log into the account because the password is automatically placed into the password field by the browser, you can easily reveal that hidden password and write it down for future use. 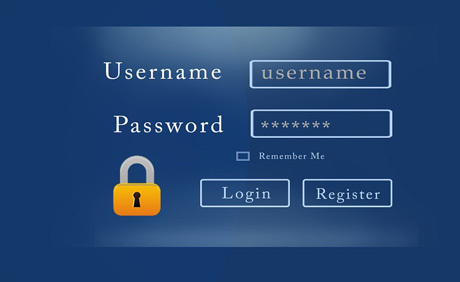 1 – Visit the Login page for the account with the forgotten, but stored password. You should now see the password represented by a row of either dots or asterisks. 2 – If you’re using the Google Chrome browser, right-click in the password field and click the word Inspect. If you’re using Firefox or Opera, right-click in the password field and click the words Inspect Element. You should now see a new open pane containing the Login page’s source code with the source code for the password field highlighted in blue. 3 – Somewhere in that blue highlighted section of code you should see the phrase type=”password”. Double-click on the word password and change the word password to the word text. That section of code should now read type=”text”. 4 – Press the Enter key and the dots or asterisks in the password field will be replaced by the actual password. 5 – Write the now-revealed password down for future reference. That’s all there is to it. Now you know how to reveal a stored password that’s hidden behind a row of dots or asterisks! By the way, if you’re one of the millions of folks who learn better by watching instead of reading, the short video below will show you how to reveal a hidden password, step-by-step. Check it out! Note: As always, you can watch the video at full screen by clicking the “square” icon that will pop up in the lower-right corner of the video after it begins playing. I recommend that you do that to make it easier to see the steps as they are explained.